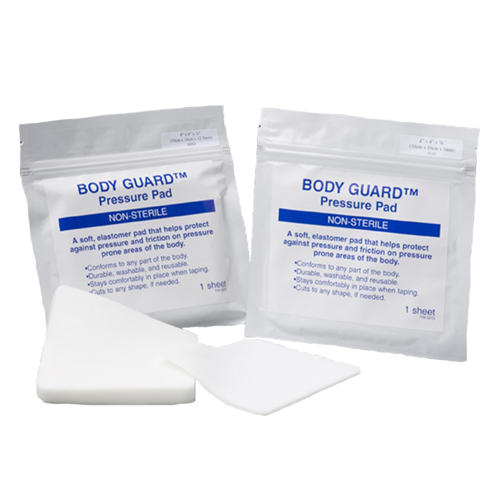 BODY GUARD Pastisol Gel Pressure Pads are used to help reduce pressure around bedsores and other pressure prone areas of the body. These Pastisol Gel Pressure Pads are economically priced and disposable. These gel pressure pads are designed to serve medical facility patients as well as home care patients. 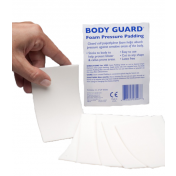 Manufactured by Nearly Me Technologies, BODY GUARD Pressure Pads are made with Plastisol Gel which is soft and comfortable. 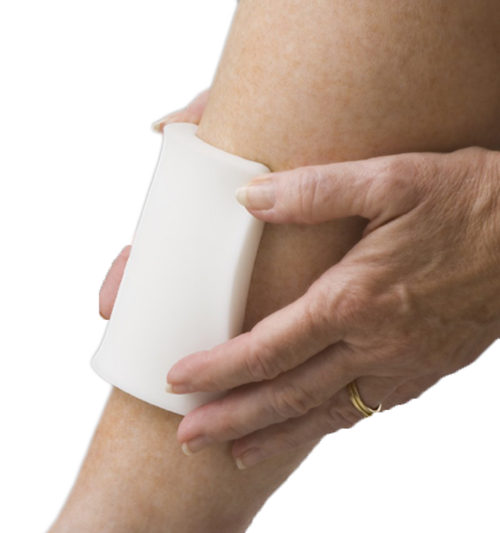 Pastisol Gel Pressure Pads offer cushioning to bony prominence's of the body, reducing pressure to the area. 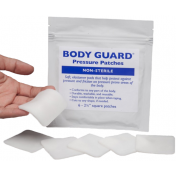 These Pressure Pads decrease friction and shearing between skin and external surfaces. 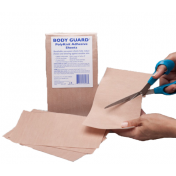 BODY GUARD Pastisol Pads help prevent skin trauma and can also be used over injured but unbroken skin to cushion and protect against further injury. 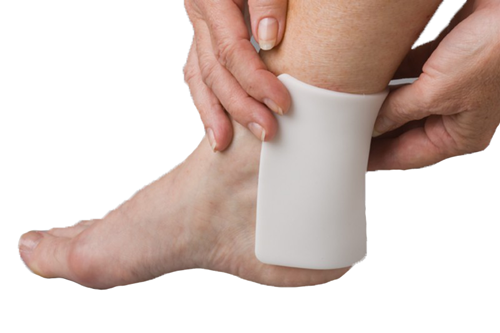 Many find these Pastisol Gel Pressure Pads useful to cushion heels and ankles to decrease the risk of skin breakdown and bed sores. They are also useful with prosthetic devices to provided padding between skin and the prosthetic to prevent abrasion and blister formation. The Pastisol Gel Pressure Pads come in two thickness options—1/8 Inch and ½ Inch and are made in the USA. Packaged in resealable foil bags, these Pressure Pads are washable and reusable. Reduces the potential of skin breakdown. Reduces abrasions and blister formation. 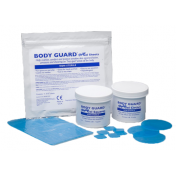 BODY GUARD Hydro Gel Sheets Product Numbers: 1600001, 1600002. Depth Options (thickness): 1/8 Inch or ½ Inch. Gel Pressure Pads reduce the risk of friction and pressure wounds. I like to use them on my heels when hiking.